...and you can help us choose our new leader. I would like to congratulate Edward Timpson on his victory at the general election and thank him and the other candidates for a good natured and well fought campaign. I believe that we all gave the voters a real choice, which is what democracy is all about. I would also like to thank all those who came out to vote, I was delighted to see the turnout increase and I hope this trend that continues. It is really important that our democracy is built on the mass particpation of the electorate. I am particularly grateful to everyone who put their trust in me and gave me their vote, I am only sorry it did not lead to the election of a Labour MP. I was, however delighted that the Labour vote went up by 5,000, which gives me great hope for the future. All the way through this election I had a simple message. We must get on with the regeneration of Crewe and Nantwich, so that we can bring new employers to the area and create much needed jobs. I have been frustrated by the lack of progress so far, we need an end to dither and delay. We need a redeveloped station on its existing site, a new town centre, a bus station that links in with rail services, the completion of the by-pass around the south side of Crewe and the development of the Basford sites that could bring 8,000 much needed jobs to the area. If these crucial projects are not progressed, Crewe and Nantwich could be left behind. It is on these matters that our political leaders should be judged. Not by how many meetings have taken place, consultants employed or reports written; but by how many jobs are created, bricks laid, roads built and new employers brought to the area. I have heard all the excuses over the last few years about how the lack of action is all the Labour Government's fault, which by the way is not true. Well that doesn't wash anymore. The people have spoken, the votes were cast and we now finally know the result of the general election: A Conservative Government, propped up by the Liberal Democrats. We've got a Tory MP, a Tory Council and a Tory Government, so there are no excuses now. "After a huge global crisis that we had to fight against and overcome, it is right for people to ask what happened, to reflect on what was done to turn this global crisis around and what can be done to make sure that this global crisis never happens again. "At every time in this crisis, I have put the British people first. "Not the banks nor the financial industry not those at the top who do not want to pay their fair share - but the British people. "For me the British people have been and always will be my first priority. "And I tell you adversity has been my best teacher. "And faith in the future the greatest source of my strength. "So we are fired with new determination. "We are full of energy and firm of purpose because the values that are the core of a Labour Britain - your Britain - are now at stake and have to be fought for, for not only is the economic recovery at risk so is social justice. "And we are all full of energy and purpose because we are on the road to renewing our economy so that we can build our new future of fairness and prosperity for all. "And every second of the day and every inch of the way I am fighting so hard because I want 2010 not to be the beginning of Conservative cuts but the end of global recession. "I am fighting so hard because I want 2010 not to be the year Britain starts going backwards with the Conservatives but the year when our NHS our schools and our police move forward together. "I am fighting so ha rd because I want 2010 not to mark unemployment going up again, repossessions on the rise, more small business failing again as they all did in the 1990s. "I want 2010, 2011, 2012 to be years of renewal and prosperity. "I ask you when you go in to the polling booths to ask yourself. "Who will stand up for you? "Who when the forces of privilege raise their voice will raise their voice for you? "Who when the economy is on the line will be your spokesman, who will always put your standard of living first? "And who will fight for your family because they know what it is to walk in your shoes? "And I say with humility - I will. "And so I ask you to stand up for the great values of the British people that will make this country what it can and should become. "And with all my resolve I pledge that I will always fight for you - I will secure the recovery, never put your livelihood at risk, and always, always, always fight for your future. "And with that same humility I ask for your vote - and ask you to vote not just for me - but to vote for yourself, for your family, vote for your future - and see Labour as your best home, and your best hope." 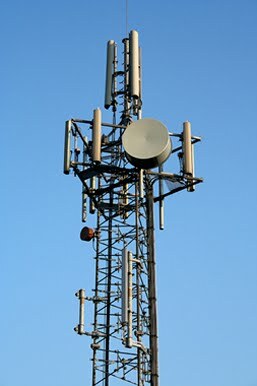 David Williams, Labour's Parliamentary Candidate for Crewe and Nantwich, met and spoke with local residents in the Valley Road and Readesdale Avenue area of Crewe today and shares their anger as the O2 phone mast goes ahead. DAVID WILLIAMS: APPRENTICE TO MP? David Williams, Labour's Parliamentary Candidate for Crewe and Nantwich, could become the first apprentice to represent Crewe and Nantwich in parliament. If elected on 6th May, David Williams will be the first apprentice to represent Crewe and Nantwich in the House of Commons. David added, “The House of Commons is stacked full of lawyers, graduates and so-called ‘professional politicians’. Many people tell me that they want a different type of MP. I offer something different. I know what it is like to get my hands dirty. I know what it is like to do a hard day’s work. I am proud of my roots and will never forget where I came from." 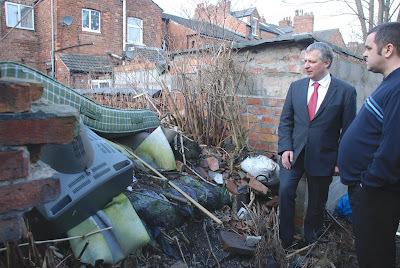 Irrespective of the result of the election on 6th May, David Williams, the Labour Parliamentary Candidate for Crewe and Nantwich, will be spending the Sunday after the election walking around the constituency. David Williams, who is a keen walker, will be leading a group from the Long Distance Walkers Association on a walk around the Crewe and Nantwich constituency on Sunday 9th May – the Sunday following the election, and he is extending an invitation to residents of Crewe and Nantwich to join him on all or part of the walk. 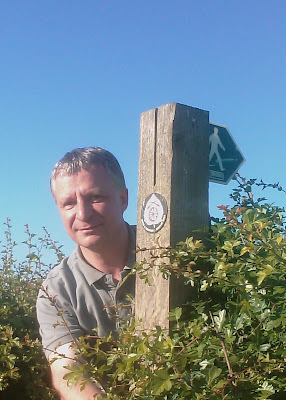 David said, “Win, lose or draw, I will be taking a walk around the constituency in some of the most beautiful countryside that Cheshire has to offer." The walk will be starting off from Crewe Railway Station at 9.00am on the following Sunday and heading towards Bridgemere aiming to arrive in time for lunch. From Bridgemere it is on to Nantwich for tea at The Red Lion, and then back to Crewe. By Paul Routledge: In Crewe, Cheshire, to interview Health Secretary Andy Burnham, I bumped into Labour’s candidate David Williams. I wish him well next Thursday. This constituency needs a Labour MP once again, after losing the by-election in 2008 to Tory Edward Timpson, heir to the High Street shoe repair shop fortune. Timpot sank without trace at Westminster, as I predicted. David Williams, a former shop steward at the town’s Rolls-Royce plant and on the buses, is a much better bet. He was agent to Gwyneth Dunwoody when she was the MP, and these days he’s political officer for shopworkers’ union Usdaw. 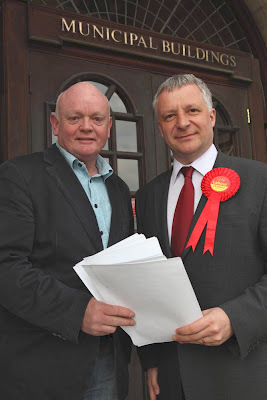 David Williams, Labour'S Parliamentary Candidate for Crewe and Nantwich, was joined in Nantwich Town Centre yesterday by Rt Hon Shaun Woodward, Secretary of State for Northern Ireland. David and Shaun spent several hours on the square at Nantwich meeting and speaking with shoppers. The Labour Party balloons and carrier bags were popular again and lots of people wanted to take time out to speak to David. David Williams, Labour's Parliamentary Candidate for Crewe and Nantwich, who was a young apprentice at Rolls Royce and Bentley Motor Cars, went back to tour the Pyms Lane Factory last Wednesday. David, who was joined in on his tour by members of the trade union Unite, spent some time in the various departments and chatted to the Bentley workers who were keen to show him their skills. David Williams, Labour's Parliamentary Candidate for Crewe and Nantwich, and former deputy Prime Minister John Prescott visited South Cheshire College, Dane Bank Avenue, Crewe last Friday. The former Deputy Prime Minister arrived at the college in ‘The Prescott Express’. John and David were greeted by spontaneous applause as they entered ‘The Bubble’ where they addressed a packed hall of students in an extended Question and Answer session. David Williams, Labour's Parliamentary Candidate for Crewe and Nantwich, was meeting with shoppers in Crewe Town Centre and with Crewe Alex supporters in Gresty Road on the penultimate Saturday before the election on 6th May. David Williams and his team are now a common sight in Crewe Town Centre on a Saturday morning. With only two Saturdays left before the election of 6th May, David was once again meeting and chatting with shoppers last Saturday where he received a warm welcome. Red balloons and ‘Vote Labour’ carrier bags proved to be very popular. 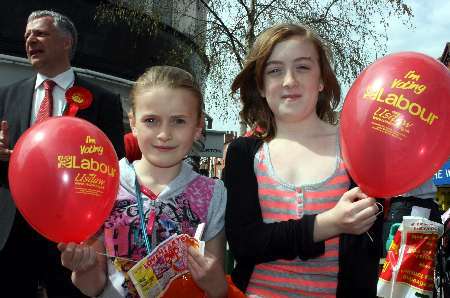 Two young girls (pictured) were happy to pose with their red balloons while their mum quizzed David on what he had to offer to Crewe and Nantwich. The elderly lady (pictured) wanted something done about the uneven pavements in the town centre. After spending the morning in the town centre, David moved on to Gresty Road where he spent some time talking with Crewe Alex supporters before watching the Alex overturn the defeat at Accrington by winning 5-1. David commented, “The very successful morning in the town centre, was crowned by an equally successful afternoon in Gresty Road. A number of fans stopped to have a chat, and it was made special for me as I had a chance to chat with Crewe Alex (and Stoke City) Legend Johnny King. To round off the day, The Alex reversed the defeat at Accrington in what could have been a dull end-of-season match but turned out to be a very entertaining game. 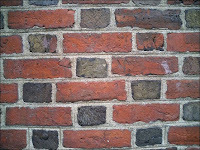 Jules from Crewe Blog joined us for a short time and took a few snaps. Click here for the full story. David Williams, Labour's Parliamentary Candidate for Crewe and Nantwich, joined over a hundred young people for a ‘Rock the Vote’ gig at The Box on Nantwich Road Crewe last week. Over a hundred students and young people attended the ‘Rock the Vote’ gig at The Box on Nantwich Road, Crewe last week. 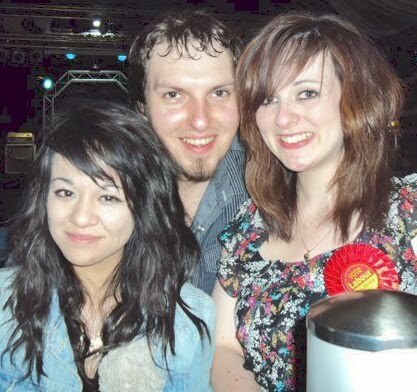 The gig was organised by the South Cheshire Young Labour and Labour Students Group. David Williams, the Labour Parliamentary Candidate for Crewe and Nantwich, and Rt Hon Andy Burnham MP, Secretary of State for Health, visited the Eagle Bridge Health and Wellbeing Centre in Dunwoody Way, Crewe yesterday afternoon. They toured the centre visiting the multitude of facilities and departments, speaking to staff and patients. Following the visit to Eagle Bridge, the Secretary of State went to David’s Campaign Office at Chantry Court to meet and speak with Labour Party members. Full-time National Political Officer for the Union of Shop, Distributive and Allied Workers, earning £41K per year. If elected I will resign from this post immediately, becoming a full-time MP with no second job. (b) positions of responsibility in some types of organisation, even if unpaid, and whether I intend to continue to hold them, if elected. (c)(i)Directorships, and whether I intend to continue to hold them, if elected. (c)(ii) Clients, and whether I intend to continue to advise them, if elected. (c)(iii) Land and property, and whether I intend to continue to hold this, if elected. I only own a family home with my wife. We will have a family home in Crewe and Nantwich after the election. (c)(iv)Shareholdings, and whether I intend to continue to hold these, if elected. I pay all my tax in the UK. (e)Any other interests which I consider relevant. David Williams, Labour's Parliamentary Candidate for Crewe and Nantwich, has called on Cheshire East Council to take positive action to clean up local ‘Grot Spots’. Simon Thomas from Lord Street has approached the council on a number of occasions but they refuse to clear the rubbish saying that it is not on public land. 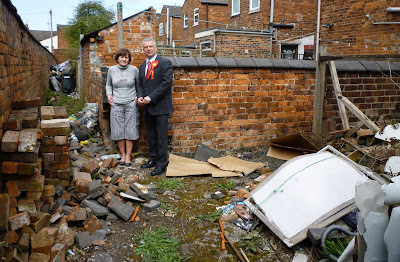 Helga Armonies in Chamber Street is in a similar situation with rubbish accumulating in the alleyway behind her house. 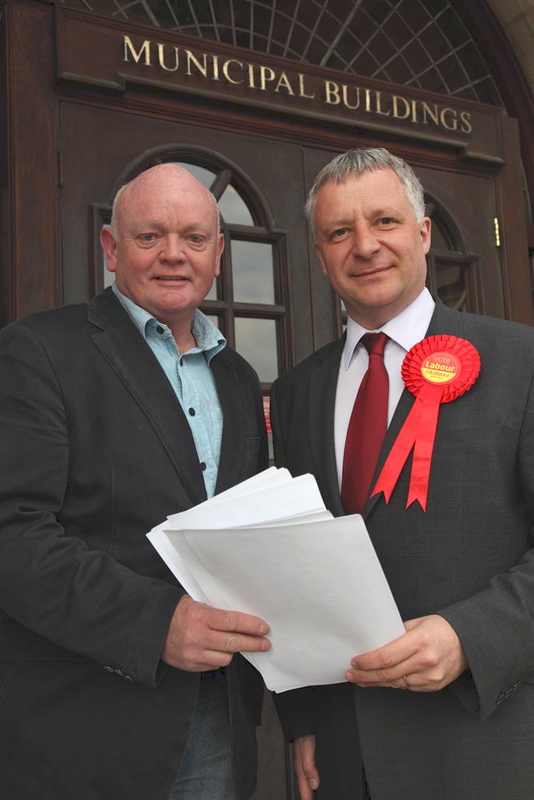 David Williams, Labour's Parliamentary Candidate for Crewe and Nantwich, has deposited his nomination papers for the General Election to be held on 6th May. Doug Butterill – former Mayor of Crewe & Nantwich and active member of Nantwich in Bloom. Jules Hornbrook – local author and creator of the Crewe Blog. Dorothy Flude – Mayor of Crewe and Leader of the Labour Group on Cheshire East Council. 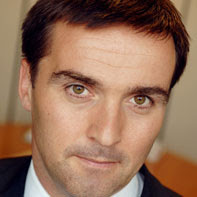 David Newton – former Chairman of Cheshire County Council. 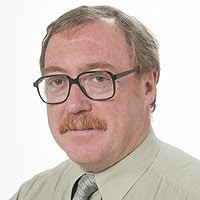 Peter Nurse – former Cheshire County Council and Chair of the Cheshire Police Authority. Howard Curran – former Mayor of Crewe & Nantwich and local historian and author. Connie Jones – well-known Nantwich personality and active member of Nantwich in Bloom. Peter Kent – former Mayor of Crewe & Nantwich and Leader of the Borough Council for 16 years. David Williams said, “This election is probably the most important for over sixty years. Several people have said to me that they voted Conservative at the by-election as a protest against the government but in the knowledge that it would not change the government. That is no longer the case. This election is all about who will form the government and the road that the country will travel over the next five years. Labour has already shown that their policies are bringing the country out of the world-recession and it is vitally important to us all that we secure that recovery and not make the same mistakes of the past. We need investment now to ensure that people have jobs and to protect the NHS, Education and the Police. In the recession of the 1980s the Tories said that high unemployment was ‘a price worth paying’. Labour does not accept that. David Williams, Labour's Parliamentary Candidate for Crewe and Nantwich, welcomed the Housing & Planning Minister John Healey MP to Crewe and Nantwich where he announced new powers for Parish Councils to boost affordable rural housing. 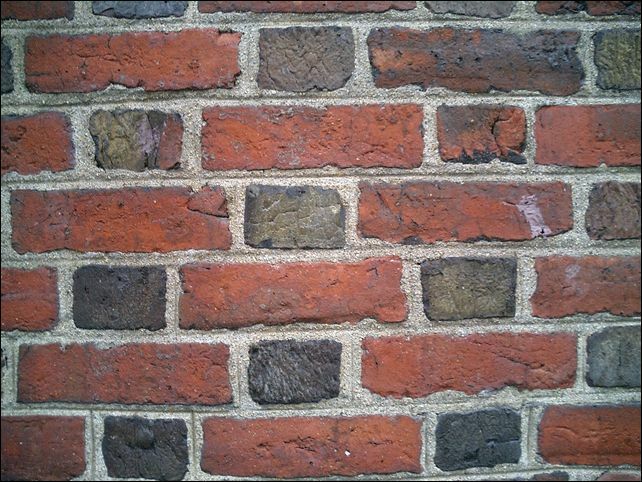 The Housing & Planning Minister wants to extend ‘permitted development’ rights so that a maximum of 10-15 new affordable homes could be built when parish councils have set out clear evidence and design expectations. This means decisions on how many homes are required, what they look like and where they are built would be taken locally by those who are closest to what the local communities need and want. New guidance on social housing allocations that was published in December has also strengthened the scope for local authorities to ensure that people living and working locally are given greater priority for affordable houses in rural parishes. The new permitted development right will be made available to Parish and Town Councils in settlements of less than 3,000 people where the council identifies a registered social landlord as their development partner. Green Belt, Habitat Sites and other important designated protections will be retained. 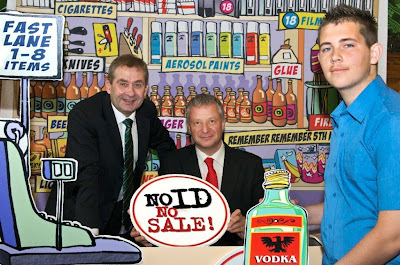 Pictured, David and John Healey MP in Crewe today. 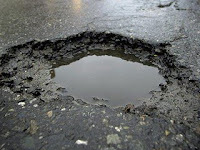 David Williams, Labour's Parliamentary Candidate for Crewe and Nantwich, has welcomed the boost from the Labour Government to tackle the pothole problem in Cheshire East. The Labour Government has injected an extra £900,000 into Cheshire East to repair the potholes caused by the recent severe weather. "We've changed the world before, and we are going to change the world again." 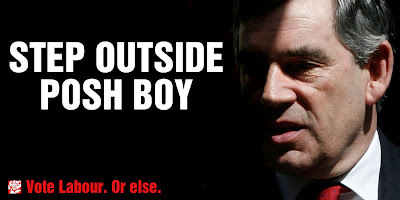 Gordon Brown's words are the very essence of what the Labour Party is fighting for. Over the past decade, we've fought and won so many battles for working families - from cutting crime in half to bringing half a million children out of poverty. We still have so much work to do - so we must remind Britain of our greatest achievements to encourage our future plans and agenda. What have you been most proud of? Crewe and Nantwich constituency had a much larger rural patch when I worked for our former MP, the late Gwyneth Dunwoody, and I used to assist her with monthly Saturday afternoon surgeries, touring the villages. Some of the most pressing concerns for rural communities are often shared with those living in towns. People in rural areas are equally worried about employment opportunities, income, affordable housing, public transport, etc. But living in the countryside can make overcoming these difficulties more problematic. Many people benefited from the selling of council houses. However, I doubt Mrs Thatcher foresaw the impact on rural families, making it very difficult for sons and daughters to find affordable housing, forced to move into town when they leave home. This break up of countryside communities adversely affected the viability of businesses like shops and pubs. 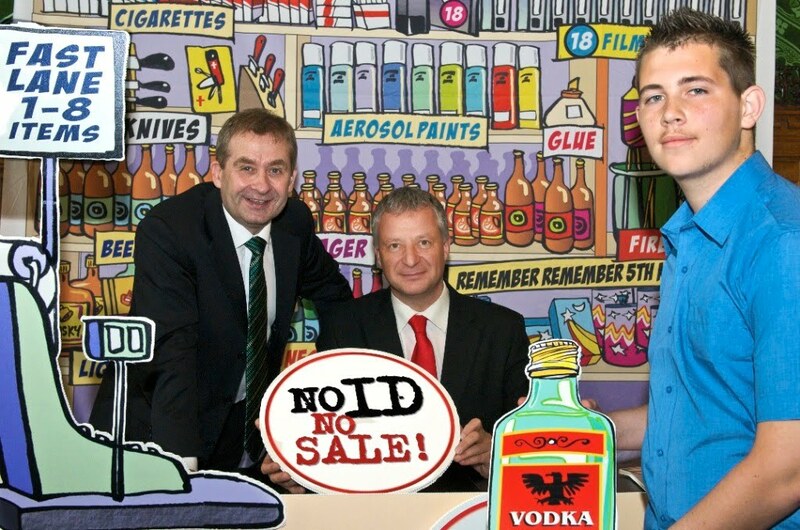 Labour is helping small businesses in the recession, the Tories would leave them to sink or swim. The Tories’ bus deregulation made routes to villages unattractive to private operators. They became reliant on public subsidy, which successive Tory-led councils have cut back on. Labour helps rural and urban communities. The Government has provided additional funds to build affordable housing, yet Cheshire East Tories fail to make land available. The National Minimum Wage and Tax Credits are making work pay for agricultural, food manufacturing, retail and tourism workers who were abandoned on poverty pay when the Tories abolished the wages councils. The Conservatives have consistently let down people in the countryside, as they take their votes for granted. Despite these issues the Tories’ key countryside priority is to repeal the hunting ban, a policy I and most rural dwellers oppose. 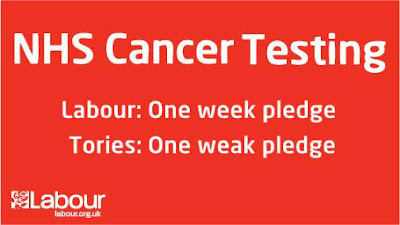 If elected I promise to stand up for everyone across the whole of Crewe and Nantwich. David Williams, Labour's Parliamentary Candidate for Crewe and Nantwich, has pledged his support against any increase in higher education fees in the next parliament. David Williams visited the Students Union at MMU Cheshire yesterday to meet with Leanne Cardill, the out-going MUS Cheshire Vice-President and Rhiannon Sears, the newly elected Vice-President. David also met and chatted with some of the students at MMU Cheshire over a cup of coffee. David Williams, Labour's Parliamentary Candidate for Crewe and Nantwich, welcomes the Government funding for the Crewe Link Road and is urging Cheshire East Council to come up with its share to enable an early start to be made. The Labour Government has given Crewe a huge boost by confirming £22m in funding towards the Crewe Green Link Road South. Cheshire East Council now has to develop full plans to connect the Weston Gate roundabout to the Shavington by-pass. A further £14m will be needed to complete the project. 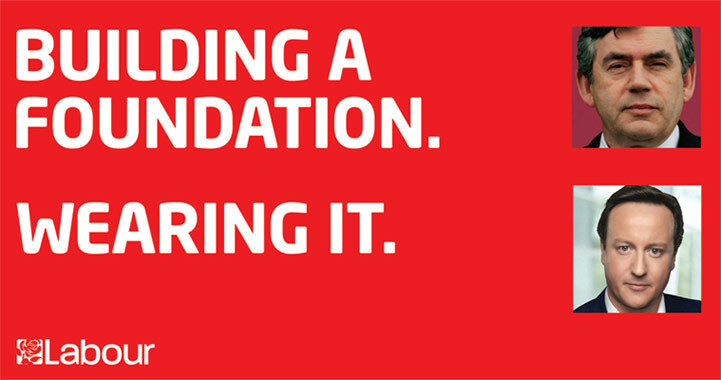 David Williams, the Labour Parliamentary Candidate for Crewe and Nantwich, is supporting the National Housing Federation’s campaign for the provision of more affordable housing. When it comes to crime, the current Tory MP is more concerned with headlines than policies. That’s why he talks Crewe and Nantwich down by deliberately misleading the public about crime figures, even though his party has been censured by the Statistics Authority for doing this. Only Labour is taking the action necessary to reduce crime. Democracy is not a mathematical puzzle. Democracy is about representation and accountability. As a researcher for Gwyneth Dunwoody I learnt a lot about representing the people who elect you. Gwyneth was a strong supporter of the current electoral system because she believed in the direct link between MP and elector; she represented constituents regardless of how they vote. That is my core principle. Elections should be about debates and discussions between competing views, but once the balloting is done, the counting is over and the result announced; the successful candidate should put party politics aside and represent all constituents. In the current climate of mistrust of MPs, it is their behaviour that is more important than electoral systems. It is about whether our elected representatives are open, accountable and honest. It’s about whether they do a proper job of work for their constituents or just parade themselves around a variety of photo-opportunities seeking self-publicity. If I have the honour of representing the people of Crewe and Nantwich, I will be an accessible, honest and accountable MP. I will hold Saturday surgeries all year round, not just at election time. Constituents will be able to see me without an appointment and will not be pre-interviewed by a member of staff. That’s the level of service we had under Gwyneth and I will restore it. The more proportional the electoral system, the weaker the link between elected representative and voter. Crewe and Nantwich already has a proportional election for the European Parliament. It is so popular that only 16% of voters participate, around half the turnout of when it was a first-past-the-post system. Hardly a ringing endorsement for electoral reform, but worse still can anyone honestly say they feel connected to their MEP? There's no point the MP attempting a cover-up by organising Tory cronies to abuse me letters page, yet again. The fact is he's been caught red-handed using fake crime statistics to talk down Crewe and Nantwich (Chronicle, 3 February), making out we live and work in a dangerous and violent place. The local Detective Chief Inspector confirmed that the Tory stats do not compare like with like (Chronicle, 17 March). Even Cllr Brian Silvestor, not a man I often agree with, says the MP got it wrong (Chronicle, 10 March). The truth is that crime under Labour has come down by one-third. That over the last twelve months overall crime is down by 9% across Cheshire. This is unprecedented in a recession, people will remember that crime rocketed in the Tory recessions of the 1980s and 1990s. The police and the council should be congratulated not criticised. The MP aspires to be a 'honourable member', well it's time he did the honourable thing: Apologise for using fake and misleading stats; acknowledge that Labour's policies have helped the police and the council bring down crime, and promise to stop talking down Crewe and Nantwich. David Williams, Labour's Parliamentary Candidate for Crewe and Nantwich, visited Hungerford Primary School yesterday, accompanied by Bill Bailey, Chair of the Governors and School Governor Jeff Welch. David spent some time with a class of young pupils who questioned him about what a MP did and then subjected him to a spelling test. David then toured the school accompanied by the Head-teacher Rhian Futcher, Chair of Governors Bill Bailey and Governor Jeff Welch, before chatting with them about the school. David Williams, the Labour Parliamentary Candidate for Crewe and Nantwich, recorded an interview with Granada Television during his visit to Hungerford Primary School yesterday. David Williams, Labour's Parliamentary Candidate for Crewe and Nantwich, together with Tony Lloyd MP, the Chair of the Parliamentary Group of Trades Union MPs, met with representatives of Crewe and Nantwich Trades Unions yesterday. About 50 representatives of local Trades Unions went along to The Alexandra Suite in Gresty Road last Sunday to listen to and talk with Tony Lloyd MP. The forum was chaired by Dorothy Flude, Leader of the Labour Group on Cheshire East Council. David Williams, Labour's Parliamentary Candidate for Crewe and Nantwich, has congratulated Cheshire East Council on the rise of First Choice applications that have been approved for secondary school admissions in September 2010. David Williams, the Labour Parliamentary Candidate for Crewe and Nantwich, has welcomed the fact that the percentage of Cheshire East parents and carers securing their first place preference school has increased this year to 93.62% compared to 91.32% last year. David Williams, Labour's Parliamentary Candidate for Crewe and Nantwich, got on his bike in an 'end-to-end' challenge at Nantwich Sainsbury's in aid of Sports Relief last Saturday. David Williams joined a relay of bike riders cycling from John O’Groats to Lands End without leaving Nantwich. Nantwich Sainsbury's organised the bike ride in aid of ‘Sports Relief’ and installed an exercise bicycle in the entrance to their store. A team of riders took it in turns on the bike and the distance they covered was closely monitored. 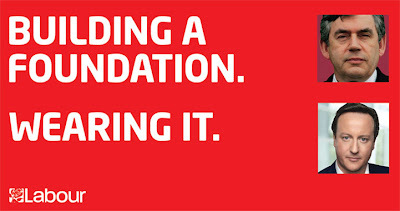 David’s son, Tom, joined his Dad in supporting Sports Relief as he took over from him on the next stint of the journey. David added, “Theoretically I spent the morning cycling in Cornwall towards the end of the journey from one end of the country to the other. Sainsburys Staff and their friends have done a great job in raising funds and many of the shoppers at Sainsburys did their bit by dropping donations into the collecting buckets as they left the store." David Williams, Labour’s Parliamentary Candidate for Crewe and Nantwich, has deplored the statement made by Theresa Villiers, Tory Shadow Transport Secretary, in the current issue of Railnews. In an interview with ‘Railnews’ the Tory Shadow Transport Secretary said that, if the Tories were to win at the coming General Election, they would review major railway projects and plans and would not give a ‘guarantee that any scheme would go ahead under a Conservative government’ She is also reluctant to give any commitment on such major procurement schemes such as the Thameslink Programme fleet and Intercity Express. Pictured: David with Lord Adonis, at Crewe Station, talking about Labour's future investment in railways. Pensioners are better off with Labour. We are a long way from the days when Edwina Curry used to tell elderly people to stay warm by wearing their overcoats, hat and gloves in their own living room. Labour introduced the Winter Fuel Allowance for over 60s, worth £250 and £400 for over 80s. There’s also free home insulation for over 70s. Margaret Thatcher broke the link with earnings, devaluing the state pension. Labour introduced the Minimum Income Guarantee, so no single pensioner has to live on less than £130 per week or £198 for couples. Labour increased the state pension by more than inflation and will restore the link with earnings. Labour introduced the over 65s tax allowance, which has almost doubled pensioners’ tax-free earnings to £9,450 per year. All this combined means that the average pensioner household is over £1,500 per year better off under Labour. Under the Tories, Cheshire pensioners had to pay two-thirds of an adult bus fare and full fare outside the county. Labour has given all pensioners a free off-peak bus travel for all England and over 75s get free passports. Mrs Thatcher brought in charges for eye tests, Labour made them free for pensioners. Under the Tories there was no funding for flu jabs, Labour has made them available for all pensioners. We learn about the future by studying the past. The Tories haven’t changed. Labour made all of the above available to everyone regardless of income, but the Tories are already talking of ending benefits for ‘middle-class’ people. So that’s means-testing and when they say ‘middle-class’ I believe everyone with a modest company or private pension will lose out under a Tory Government. Each and every year on St Patrick’s Day we celebrate the links between Britain and Ireland and the enormous contribution the Irish have made to the world. But of course this St Patrick’s Day is particularly notable for us, because this year we are able to look forward to the completion of the final stage of devolution in Northern Ireland – and with it the dawn of a lasting peace. It took hard work. It took many hours of detailed negotiation. But most of all it took men and women of courage prepared to forgive the past in the service of the future. This settlement would simply never have happened without the intense levels of cooperation between UK and Ireland – and in partnership we have achieved a dream many said could never come to pass. And this year, with the upcoming Papal visit in September, many people in our Irish community have another reason to celebrate the links between Britain and the wider world and to reflect upon the values which unite us across boundaries of religion and geography and nation. This year we stand stronger together than we could ever be apart. 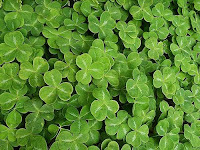 Please pass my warm best wishes for St Patrick’s Day to your family and friends. David Williams, the Labour Party’s Parliamentary Candidate for Crewe and Nantwich, and former Deputy Prime Minister John Prescott rounded off their day with chips at TJs on the corner of Nantwich Road and Gresty Road Crewe. After a busy day, during which John Prescott officially opened the new Labour Party Campaign Office in Chantry Court and then walked round Crewe Town Centre with David Williams meeting and speaking with local shoppers, they nipped round to TJs Chippy on Nantwich Road for a quick snack and a chat with owner Jack. Thanks to Jules at Crewe Blog for the video interview yesterday. David Williams, Labour’s Parliamentary Candidate for Crewe and Nantwich, welcomed Former Deputy Prime Minister John Prescott to Crewe last Saturday when he performed the official opening of the Labour Campaign Office at 4 Chantry Court. 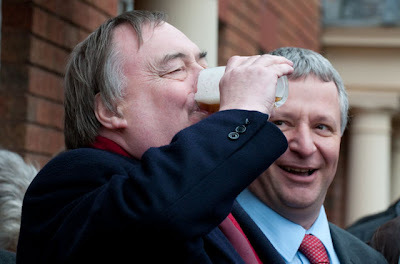 John Prescott, who is the former Deputy Leader of the Labour Party and Deputy Prime Minister, arrived in ‘The Prescott Express’ Battle Bus to the theme from Rocky blazing out from loudspeakers. John gave a rousing and very well received speech to the crowd that had gathered at Chantry Court to welcome him – so well received that a man at the nearby ‘Hops Bar’ came across to him with two half pints of beer saying he agreed whole-heartedly with what he had said and invited John to have a drink with him. Following the opening John and David toured Crewe Town Centre meeting and speaking to shoppers. 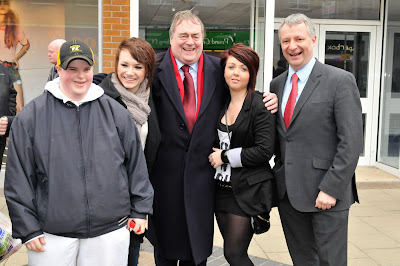 David Williams, Labour’s Parliamentary Candidate for Crewe and Nantwich, and former Deputy Prime Minister John Prescott met and talked with shoppers in Crewe Town Centre last Saturday. After opening the new Labour Party Campaign Office in Chantry Court Crewe last Saturday, John Prescott and David Williams walked into Crewe Town Centre to meet and speak with shoppers. Thanks to Jules Hornbrook of Crewe Blog fame for capturing part of John Prescott's barnstorming speech at the opening of the Crewe and Nantwich Labour Campaign Headquarters. If you've never heard John's version of "the punch" then you're in for a treat. David Williams, Labour’s Parliamentary Candidate for Crewe and Nantwich, has expressed his support for ‘Every Disabled Child Matters’ campaign and added his name to the growing ‘Constituency Pledge’. - Give disabled children and their families new rights to the services and support they need to lead ordinary lives. - Invest in new resources to make sure these rights can become a reality. This will be achieved through funding to sustain, embed and build on ‘Aiming High for Disabled Children’. - Give disabled children and their families a new level of priority, and work with them to improve the services they receive. David Williams, Labour's Parliamentary Candidate for Crewe and Nantwich, points to further evidence that Tory-controlled Cheshire East Council is turning its’ back on Crewe and Nantwich. A recent press release from Cheshire East Council lauds the fact that they have approved £3.5 million for the regeneration of Poynton village centre. There is no doubt that we’ve been through tough times recently, but it could have been so much worse. Labour’s fiscal stimulus saved jobs. For those who suffered the personal tragedy of redundancy, we are helping them back to work quickly. We did not pass by on the other side. Contrast that with the Tories, who would have let the recession run its course, leaving people to sink or swim in the deepest economic downturn since the 1930s. The Tories fundamentally called it wrong three times. First, they would have let a bank go bust, thereby deepening the banking crisis. Second, to make deep and savage cuts now risks the fragile recovery. Third, having said they would back Labour’s action, they u-turned and bottled taking the tough decisions. 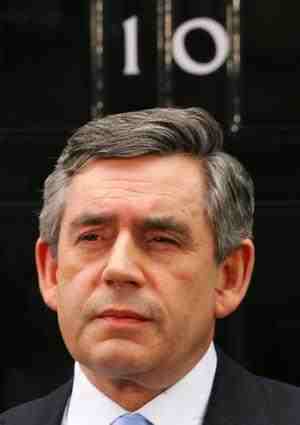 Gordon Brown led the world in tackling the global economic crisis. The Tories proved they cannot be trusted on the economy and we see that writ large with their leadership of Cheshire East Council. They should have been preparing the area for the recovery, but have dithered and delayed. They failed to rebuild Crewe station, they failed to regenerate Crewe town centre and they failed to open up land in Basford that could create thousands of job opportunities. Unlike the Tory recessions of the 1980s and 1990s we will not leave young people with no hope and no opportunities. Unemployment is not a price worth paying. Labour is the only party that promises to halve the deficit over four years, whilst continuing to invest in front line services and offering young people the guarantee of an apprenticeship, training, college place or work. David Williams, Labour's Parliamentary Candidate for Crewe and Nantwich, and the Minister of State at the Home Office David Hanson MP visited the Marshfield Community Centre last Monday to listen to residents’ views on crime and policing. David Williams and David Hanson, Home Office Minister with responsibility for Crime and Policing, attended a packed meeting at the Marshfield Community Centre in Crewe last Monday. David Williams arranged the meeting to enable the Minister to hear the views of residents on crime and policing. The latest crime figures for Crewe and Nantwich show that crime fell by 7.9% in Crewe and by 2.9% in Nantwich when compared to the same three month period last year. He also criticised the Tories attempt to politicise the police by their commitment to introduce directly-elected Police Commissioners to run our police forces. David Williams, Labour’s Parliamentary Candidate for Crewe and Nantwich, and Minister of State at the Home Office David Hanson visited ‘The Ravine’ last Saturday at the request of local residents. David Williams and David Hanson, Home Office Minister with responsibility for Crime and Policing, accepted the invitation of local residents of The Rockwood Estate in Crewe, to visit what is locally known as ‘The Ravine’ – a long wide strip of open land running between the aluminium bungalows in Doddington Road and the houses in Capenhurst Avenue.